Help Harry Help Others (HHHO) was set up to help find a cure for Brain Cancer and also to help and support those affected by Cancer. 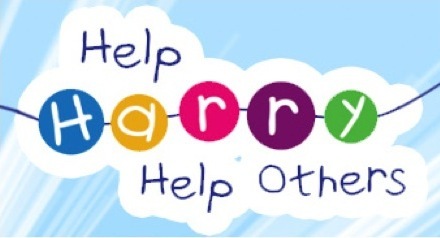 HHHO provide monetary help to cope with the daily financial worries and stresses of living with Cancer such as help with petrol, food, utility costs and funerals. This fund is open to anyone, of any age, no matter what type of Cancer they have been diagnosed with. HHHO offer this service so that people can focus on the important elements, like focusing on treatment and getting better. IF you know of anyone with Cancer who would benefit from such help with practical and financial costs then all it takes is to get their Nurse specialist or Social Worker to fill out a short form on their website here under ‘how we help’. The ‘Help Care’ aim is all about ensuring that people receive the right care and treatment that they need. One massive way they have helped to achieve this is by donating £103,000 to St Mary’s Hospice in Birmingham which helped to build a Family Care Centre in Selly Oak. You can see more information on the Family Centre in my previous post here, where I covered the work that St Mary’s Hospice provides. Essentially, the Harry Moseley Family Centre enables families to stay at the hospice to be near to their loved ones in their time of need. It offers patients and their families both privacy and the 24hr care they require at a very difficult time of their life. HHHO aim to find a cure for Brain Cancer. They have their own team of specialists that are led by Dr Andrew Peet who advise them on programmes that can help change the fact that only 1% of national spend into research on Cancer is directed towards Brain Tumors, despite the fact that Brain Tumors are the highest killer of those under 40 than any other Cancer. Over the next year or so, HHHO would like to be in a position to provide large grants of around £150,000 , with one of their aim’s being to support PHd Students in their research efforts. In the UK over 1550 children are diagnosed with cancer, and 1/4 of those are diagnosed with Brain Cancer and whilst HHAO are working tirelessly to help find a cure, they will continue to provide support to those in need. To find out more on HHHO check out there website and have a look at some of the youtube videos that talk about the work that they do.